Have you ever noticed how easy it is to get someone’s attention by saying “Let me tell you a little story…” Even if you’re sitting in a restaurant and you overhear someone in the next booth say that to someone else, aren’t you straining to listen? Sure you are! Telling your story at the beginning of your party will help engage your guests in the same way. It’s simple to create this. Answer the following questions and then weave them together into a short story that your audience can relate to. What was your first experience with your company like? Were you excited about attending? What did you like about it? (did you have fun? What did you think if the products?What happened after the party? Did you book a show? If so, how much free product did you get? Did you sign up?What was your first party as a representative like? Did you have a good turn out? 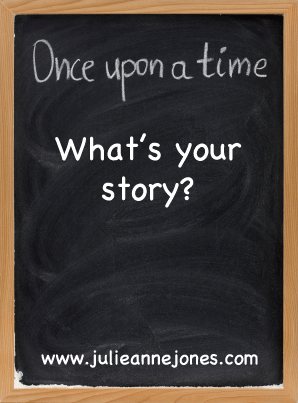 Relate your personal experience in starting your business in story form. Save your recruiting story (all the benefits you enjoy because of your business) for your Opportunity Commercial. Want more details about this and a ton of other great ideas? Click here to check out our “Designing an Amazing Party Experience” audio CD as well as a ton of other great tools to improve the result in your business.